Collaboration has always been a big part of my life and it’s one of my favorite things to do at school also. I’ve been a part of many sporting activities and performing arts and being good at collaborating is a key to success in any group activity. The publishing house project is an example of where collaboration. Let’s look at the individual jobs of each member, shall we. First, we have the manager who is in charge of how the group runs. He has to be one of the best at collaborating because he is in charge organization, and supervision. Second, we have the editor who is in charge of how things are written. He also has to collaborate in order to understand how the group wants things written, and if everyone agrees on the same types of writings and styles. Third, we have the designer/artist who is in charge of how things look. He has to collaborate in order to let the group know what is being designed and if everyone agrees on how things look. Fourth, we have the social media expert who is in charge of connecting to others. He has to collaborate with the group members in order for us to understand which social media sites we are using and how we can utilize these to spread our work to the public. And lastly we have me, the webmaster. I am in charge of how our site runs. Now we don’t have an actual site yet although we do have this wordpress page. Me and the designer have been collaborating and discussing what we want our blog to look like and right now we like it. I’ve always been good at collaboration because it comes so natural to me. It comes so natural to me because I believe I learn the best when I am working in groups, or teams. Most activities I like to do in my day to day life are all inclusive of collaboration. Let’s look at everything I’ve had to do with the publishing house in terms of collaboration. First, I had to establish which job I was actually going to do, which turned out to be the webmaster after going through series of votes and agreements. Second, I had talk with my group about how I can work with each of them to make sure that our websites are organized and look nice. Third, I just collaborate whenever I need to for things that pertain to our blog or any assignments. I would say that I’ve become a better collaborator because my group doesn’t always agree on the same things and sometimes we can get a little annoyed by each other at sometimes because we are working so hard that any questions or concerns that make us stop doing our work sort of lights a fire in our thought processes. I’m usually there to make conversations and requests smoother for the group and try to “translate” what one is trying to ask another about if maybe something said wasn’t clear. Demonstrating strong amounts of collaboration throughout our work days give the group a sense of confidence in me and I’m glad that the group can sort of come to me for questions because I love to answer them and help the group in anyway. Collaboration, I believe, is a technique that schools sort of throw out the window because they consider it “cheating” and its only appropriate to collaborate during group discussions and projects. I think the school’s theories are completely wrong. Opening up collaboration for everyone to apply to their working environment will strengthen everybody’s attitude towards school and working with others. For me, displaying collaboration is easy and working in my publishing house gives me an opportunity to really use it to my advantage. I will continue to use collaboration techniques and collaboration skills throughout the entirety of this year and I hope that my whole group will learn from my ways! 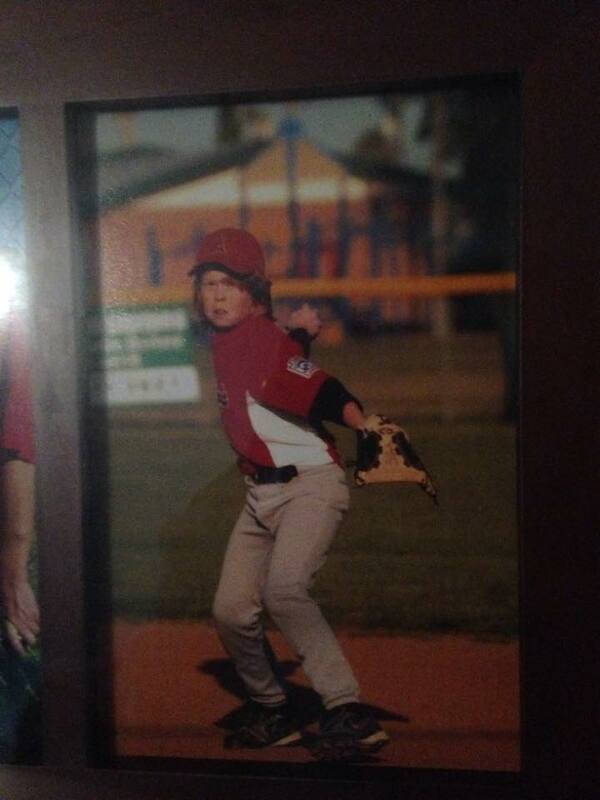 I put a picture of me when I use to play baseball. Being in a sport requires you to collaborate a lot with your teammates and it is a similar environment to the publishing house.